If a car model has to go out, then it might as well go out in style. When the end of the line for the Buick Grand National arrived in 1987, there was probably no better way to end the story than with the GNX. The black paint, lack of major external chrome trim or badges, and the black mesh wheels all prompted Car & Driver Magazine to use the headline, “Lord Vader, your car is ready,” for its story announcing the introduction of the GNX. 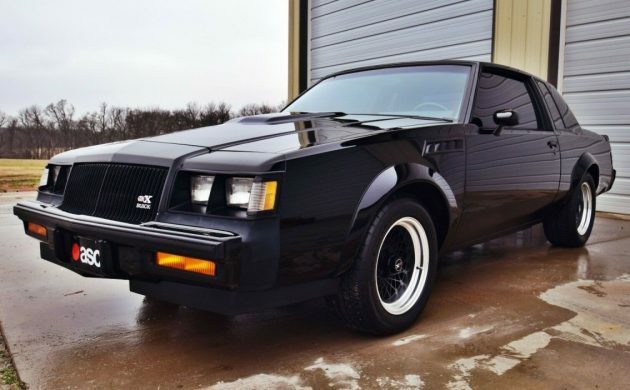 With only 547 vehicles built, the GNX has become a firm favorite amongst classic car enthusiasts. This low-mileage example is a car that you could park in your garage. It is located in Afton, Oklahoma, and is listed for sale here on eBay. This photo reveals the only obvious flaw in the exterior appearance of the Buick. The bumper filler panels are renowned for deteriorating, and this GNX is no exception. 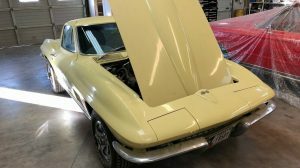 The new owner will have a choice here, as they could leave the original fillers in place, or they could choose to fit the set of new Goodmark fillers that are included with the car. The rest of the exterior presentation is close to faultless, with a deep and lustrous shine to the black paint, while the wheels look clean, with no signs of pitting or gutter rash to be seen. This is hardly surprising because the car has a genuine and verified 12,900 miles on the clock. 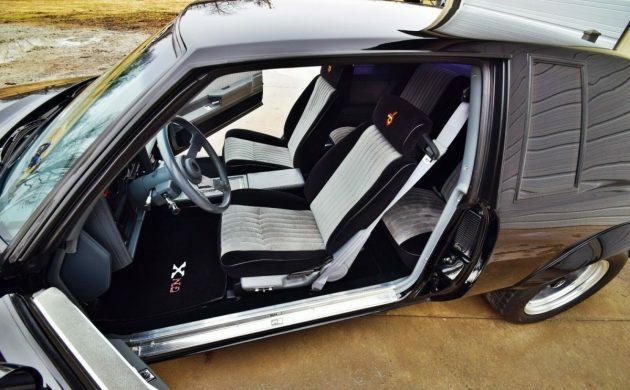 As with the outside of the car, the interior of the GNX is striking, and in the case of this car, virtually flawless. It appears to be standard and unmodified, except for the fact that someone has attached a car phone to the floor console. These might have been the height of cool in the 1980s and 1990s, but they aren’t today. Hopefully, they’ve used a clamp type mount to attach it, as I would hate to see any unnecessary holes drilled. The GNX comes with a few luxury touches, such as power windows and seats, a tilt wheel, and air conditioning. One feature that I remember fascinated some reviewers was the inclusion of a trunk release button in the glove compartment. Hey, it was the 1980s, so a trunk release on a remote was still a little way off. While the paint on the GNX was made to shine, a GNX shines under the hood for an entirely different reason. The Buick 3.8-liter V6 engine was breathed upon rather heavily, and the combination of a Garrett AiResearch T3 turbocharger with a ceramic impeller and a large intercooler allowed the GNX to produce an official 276hp. Unofficially, that figure was actually closer to 300hp. This power then finds its way to the road via a Hydramatic 200-4R transmission. Power steering and power brakes assist to point and stop this beast. There have been some changes made to this GNX. It is fitted with a different turbo, but the original is included with the car, while it is believed that the exhaust is also non-genuine. 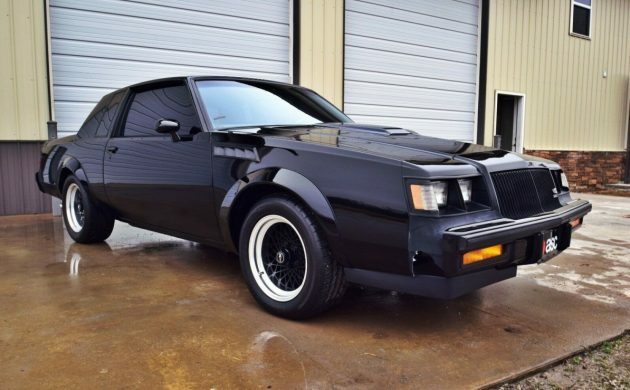 As an Australian, if I were to draw up a list of the top 10 American cars that I would put in my garage, a 1987 Buick GNX would definitely make that list. I like the square styling, I like the almost evil and intimidating black exterior, and I like the idea of the performance that it offers. With only 547 examples built, these are a highly desirable car, and prices in excess of $100,000 is now a common occurrence. The owner of this GNX has set a BIN price of $87,500 for the car, but the option is also available to make an offer. I suspect that this one will be off to a new owner fairly soon. Top ten car for me also. I’d much rather a cheaper version that I could use a s a daily. For this kind of money a better backdrop for the pictures would have helped a little. At 276 horsepower in today’s world that’s not even considered a performance car. I don’t understand the value here. Low horsepower not that great build quality I guess maybe because no one else has one is about it. I would love to catch a gnx at the red light with my hellcat. Lol, you clearly have no respect for the past. 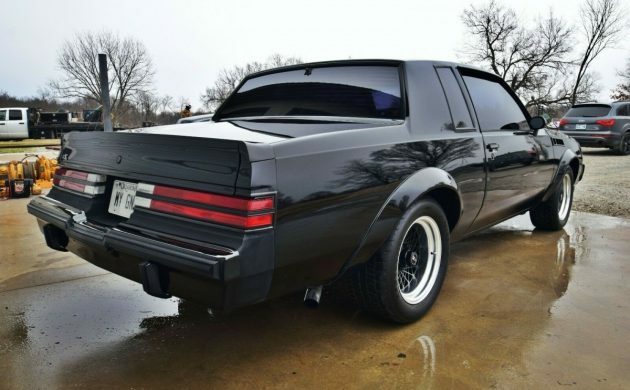 Comparing a super rare GNX to a current common Hellcat is kinda ridiculous. Why? Bone stock there is absolutely no contest unless you’re one of those people that blathers on and on how their highly modded car beats someone else’s stock car. Pure stock, Hellcat hands down. Let me give you Hellcat drivers a little advice if I may. Yes, you have a hot car, but be warned when pulling next to a Grand National / GNX. Never took much to get these cars in the 10’s or better. Don’t say I didn’t warn you. You guys should all be driving “Macho” Firebirds. Just a Hellcat Arthell64? You don’t even have a Demon? Tell you what, bring your Dodge Kitty Cat to any car show and park it next to a real GNX and see which car everyone runs over to check out…. By the way, I recall the GNX would run 60 in around 4.7 seconds and that was 30 years ago in a big clumsy boxy Buick luxury car? As if that is not enough alone to impress, all you had to do was turn the boost up on any 87 Turbo Regal, add slicks for traction, open up the exhaust and you are in the mid 11s. A few more minor mods will take a Regal into the 10s. I believe a new Hellcat runs just under 12 right? I just read 11.8 for a new Hellcat. Hmmm. See if any Hellcat is going to be worth 80k to 100k 30 years from now. Na. Our testing of the GNX has thus far been a matter of infor­mal timings at GM ‘s Mesa proving ground using the original GNX prototype, which had been well used. Nonetheless, with just a little tire warming, 0-60s in the 5.6-5.7 range came easily and repeatedly. The best of our quarter miles was 13.8 with speedometer readings in the 104-mph range. Given a fresh car and the right conditions, those figures could be trimmed more. It figures you would find a “Road and Track” test which were always the slowest results out of any of the well known automobile magazines next to Auto Week. Go look up the “Car and Driver” reports for the 4.7 numbers and while you are at it, go look up the standard Grand National’s 4.9 times as well. Road and Track even said for themselves, a fresh car and the right conditions, meaning better drivers, ha, the figures could be trimmed more. You kind of just ate your words…. We all thank you Joe Mac for pulling up the Car and Driver test with the King Csaba Csere professional pulling one 4.9 second after another time and that was an 86 model GN with 10hp less than the 87GN. I knew I remembered that test. Car and Driver always has the fastest times. I remember Csaba Csera also pulling a stock automatic transmission 81 Datsun 280ZX Turbo into the 6 second range when in 81, that was really unheard of. That Datsun was the fastest automatic car on the road and I think the 3rd fastest car in the world in 81 and held that record for 2 years. The new 81 Turbo Z was really the car responsible for restarting the Horsepower Wars again. Go out in style? I wish these things would just go away. Let’s try 1987. Ok. My plain 1987 GN with catalytic convertor replaced with test pipe, slicks, mix of racing fuel and premium and of course my 16 year old daughter behind the wheel in stead of 250 lbs of did a quarter in 13.08 @ 107mph. She launched it beautifully with good burnout to heat up the slicks. That was done 1988. Yep….like the Pace Car Corvette….just too many put away for those with the want/money. Everyone needs to have understanding of growing up through the 80’s and 90’s to know why the GNX was a barn-stormer of a supercar. It was the fastest production car at the time with a V6! Corvettes having 225-250Hp out of their humiliating crossfire injected V8’s. Viper was four years away and the average cars had 125hp with smog control giving motors zero excitement. 276BHP might as well been 400 in today’s world. Besides the Maseratis, Lambos, Ferraris and DeTomasos there WEREN’T any performance cars made in the USA. The 80’s had toilet cars that had disgusting build quality and were designed to last maybe three years. It was this generation that solidified the public that a car with 125,000miles or 200,000kms was ready for the scrap yard. That mentality still exists today! It was a different time. Turbos were around but it’s the same effect as what the 2016 McLaren P1 and Porsche 918 had using electric motors to increase performance rather than economy. It blew everyone away. This IS the quintessential 80’s american muscle car. How many Vettes or other American cars have the same value or influence today? I mean, I like these cars and would of course love to own and drive one. But I am absolutely bored to death with all these low-mileage examples showing up every single week. I even work with a guy who has a low-mileage, super original Grand National of his own socked away! 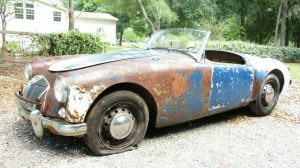 I can understand a $25,000 price tag for a nice one, but these cars aren’t that rare even in this shape. I get that market dictates value, but this is getting absolutely out of hand. This is one of 547 cars built. This is NOT a regular grand national. 12K+ miles is not LOW in GNX world. That’s considered a well used GNX (driver) in the Buick world. You can find many of the other 546 (547 minus this one) with much lower mileage. Gene you more or less took the words right out of my mouth. I’ve always really liked them but now I understand why you have hardly seen them on the streets in ages. More than 50% must have been put in storage within a year. Sorry for the analogy Buick guys (I really honestly do like them) but these and anniversary Corvettes and a couple others have become mechanical cockroaches. They’re crawling out of the woodwork in droves. P.S. Adam Clarke – love your writing style, glad you became part of the Barn Finds staff. 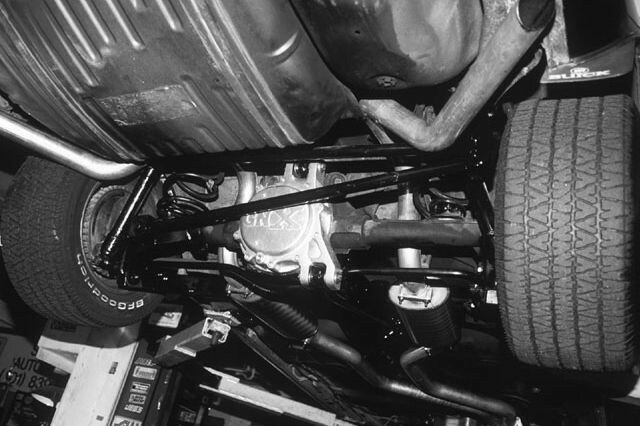 The rear suspension of a GNX is as good as it gets in a production car built in 1987 for drag racing. Look it up and learn for yourself. 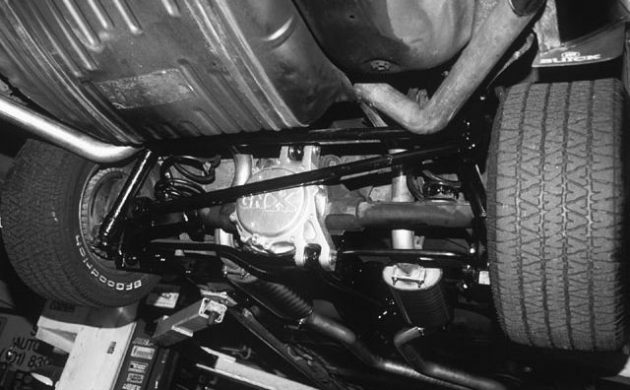 Odd that the rear shocks i see now even on the GNX are not staggered, like many performance cars then. Original hood pad had 9 holes…this is an aftermarket 8 hole version. Maybe mice got at the original, but for near $90k, please list everything…. The car would run 10’s . Watched A Guy brackett race 1 at 131. He would not say what was done to it. A little of this and a little of that stock blower / motor Hellcat runs 8’s with a 6 speed. Hey guys I have a 1980 Buick Regal Limited Edition an is in good condition im ready to put an engine in it so I can get back on the road. Is they still worth money. $90K will get you into a pretty nice collector car that is more of a real classic! Why spend 87k on a car you can’t drive? Every mile you put on it decreases the value and what good is it just sitting in the garage? GNXs/GNs overrated in my opinion. 12k miles? How about 8? Not 8k — eight actual miles. In 1987 this car was King of the world. It was compared or ran against the fastest in the world and won. 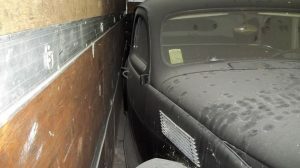 People can shrug off the results with the well worn “what happens when they hit a curve” to which I respond “what happens when I have three passengers?” …my point being all cars are a compromise and for Ferrari, Lamborghini ect to get smoked by a full size American coupe meant something. Really something. Add the purpose built rear suspension that was limited to just the GNX (along with a few other trick things) and its easy to understand why this car commands what it does and I say this as an owner of two rare 50/60’s Italian exotics. This car is easily in their league respect wise. Pricing is all supply/demand as there’s lots of new wealth the last decade and traditionally some of that chases cars (just like us….except with more zeros behind their budget). Given this is truly a ‘factory special’ produced in very limited numbers done in an era when they didn’t DO this type of thing, especially the American companies make them very collectible. 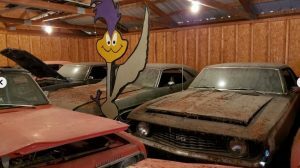 Had a friend of mine back in 87′ who bought a GNX and put it in his show room with his other collector cars(Duesenbergs and other such cars and motorcycles). I asked him one day, what made the GNX special from the GN and he told me with even thinking about the question, “50 more Horse Power”. I did notice the rear chunk was different then the GN. If I recall correctly they were numbered by production just above the glove box. His was around 50. Back when these were new, Musclecar magazine ran a comparison between an new GNX and a stock LS6 Chevelle. They found the Chevelle to be quicker, but not by enough to call it a mismatched race. I remember the article well because I owned an LS6 at the time. A little humbling, to be honest. Love reading all of these posts from passionate Buick owners. Living in Southern Florida it is almost impossible to drive a muscle car the way they shotold be driven. Just too much traffic. My 38 Buick was advertised new to go from 10 to 60 in just over 18 seconds. I bet she would not do that today. But she has enough power for the way I want to drive her. I learned to drive in a 64 Buick Special no power steering and a fireball V6. I restored my 71 Skylark Conv and drove that for ten years and I haven’t hit 40 years old yet. I would daily drive a GN in a heartbeat and a GNX is Super car status to me. More desirable than a Sktlark GSX and that car is a legend also. Go fast with class!! It’s not how fast you get there for some, it’s how good you look getting there. A 38′ Buick doing the quarter mile in 21 seconds would be cool to see.